Issue No. 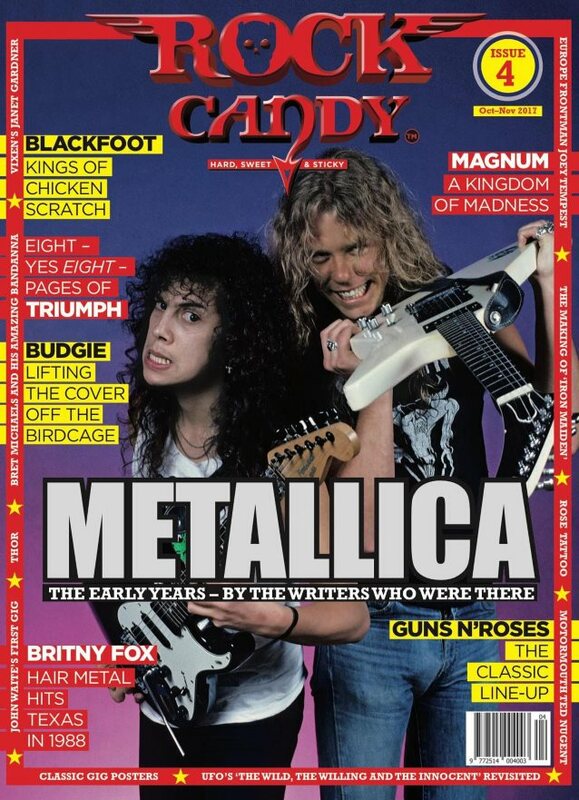 4 of the newly launched Rock Candy magazine features an exclusive candid interview with former IRON MAIDEN guitarist Dennis Stratton in which he reveals how the band’s debut could have ended up sounding like QUEEN. Stratton told Rock Candy that the first IRON MAIDEN album could easily have been a much more sophisticated recording than the warts-and-all, New Wave Of British Heavy Metal classic we all know and love. And Stratton also reveals that it was only the band’s manager, Rod Smallwood, who put a stop to the plan. Released in April of 1980, “Iron Maiden” became a benchmark recording for a new style of metal that was harder, leaner and faster than the music being made by the stadium filling rockers of the ’70s. Songs like “Phantom Of The Opera”, “Running Free” and the title track have since achieved legendary status. But Stratton, now performing with LIONHEART, told Rock Candy that it could all have been very different. Read the whole of this revealing article in Issue 4 of Rock Candy, available for purchase online at this location.